Recipes that kids love to eat, are easy to make or can be made ahead. Cookies, snacks and menu ideas. 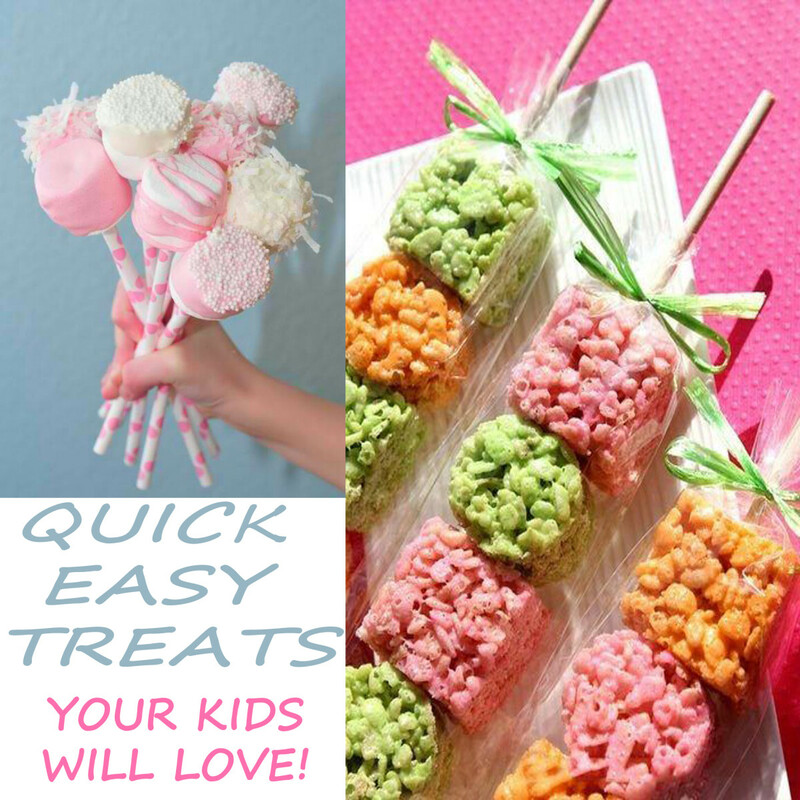 Mothers are so busy that easy, make ahead snacks for kids are a welcome assist. The make ahead snacks should be easy and healthy, but also ones that the kids will actually eat. No matter how easy it is, or how healthy it is, if the kids won't eat it you've wasted your time and ingredients. I know that most kids don't need a lot of choices, but they do appreciate a change once in a while. 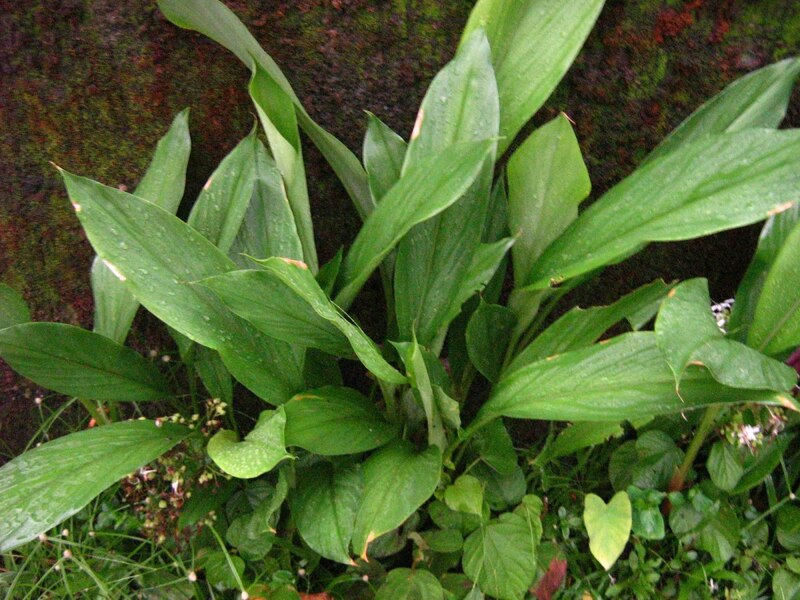 So, the ideas and recipes that you'll find here are kid tested and approved. Easy snacks are great to have prepared ahead of time and ready when the kids get home from school or are just hungry. I'm sure you'll find the recipes easy to make and then just refrigerate or freeze until needed. 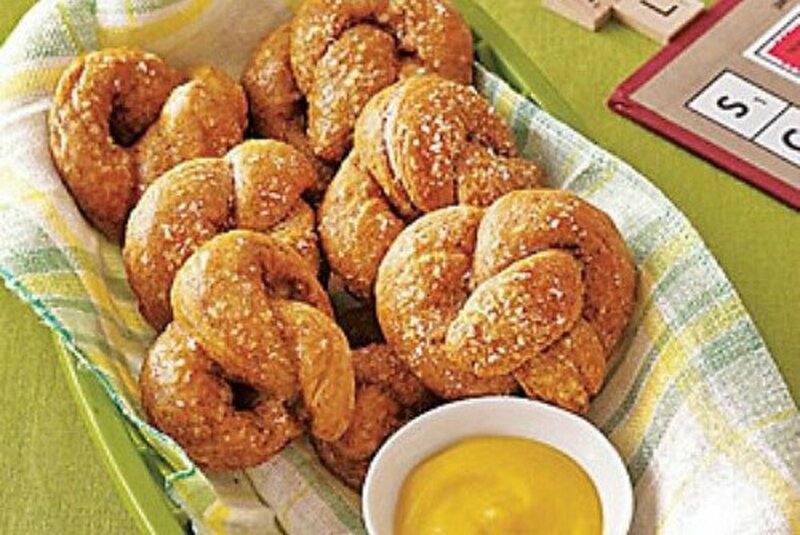 Find the recipe for making these tasty soft pretzels at my recipes. 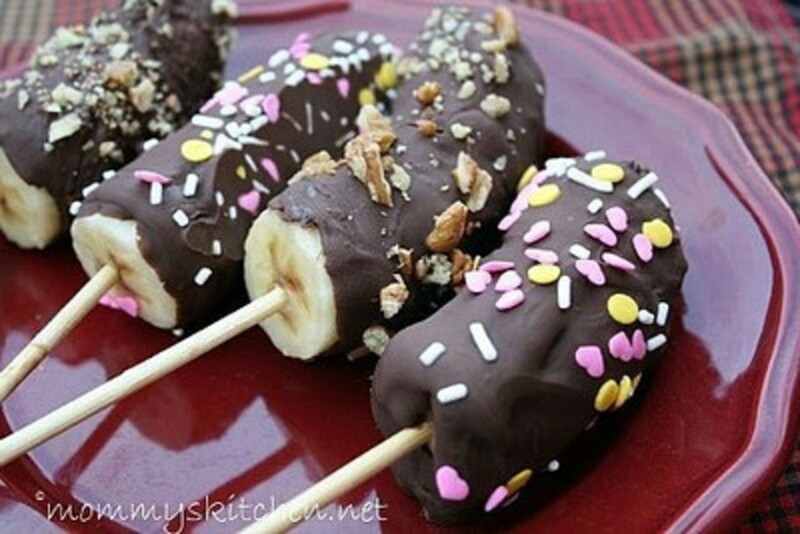 You'll know exactly what to do to make these tasty chocolate covered bananas when you go to Mommy’s Kitchen and see the outstanding and easy to follow step-by-step tutorial. 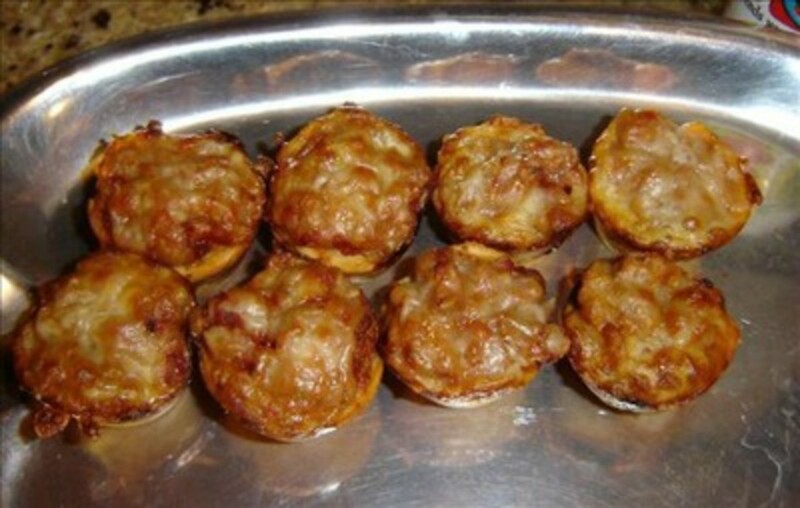 This is a great breakfast or anytime snack for the kids. 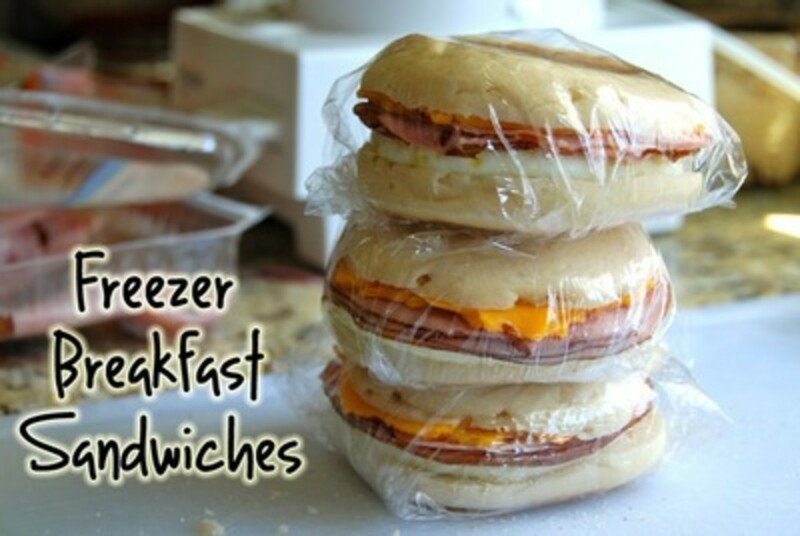 Or have them made ahead in the refrigerator for a quick and easy after school snack. 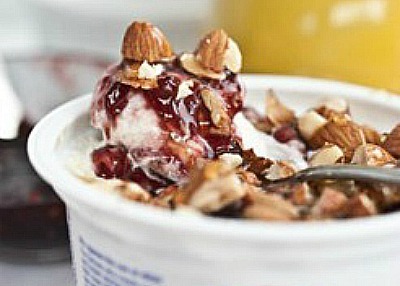 Find the recipe for this dressed up yogurt snack at Parenting. Most everyone has a favorite pancake or waffle recipe that they love, but they don't know if or how to freeze them for later use. 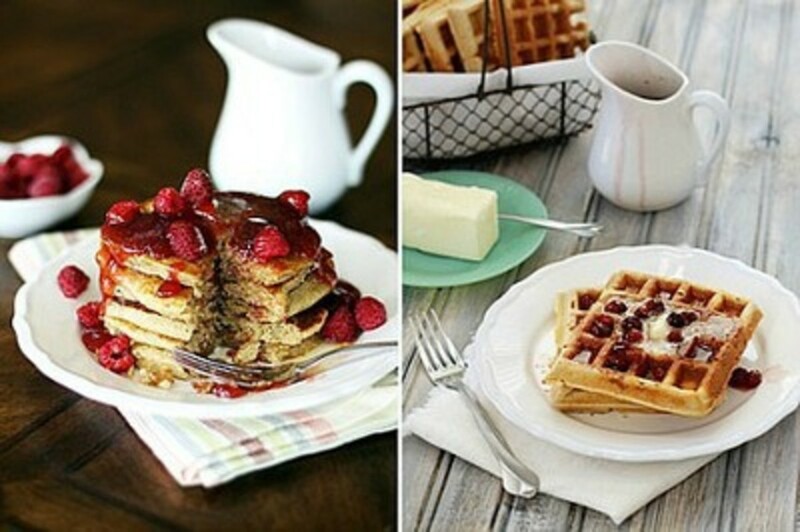 This site, GOOD LIFE eats gives you the lowdown on how to reheat pancakes and waffles. This will also work for pancakes or waffles that have been made with a mix. 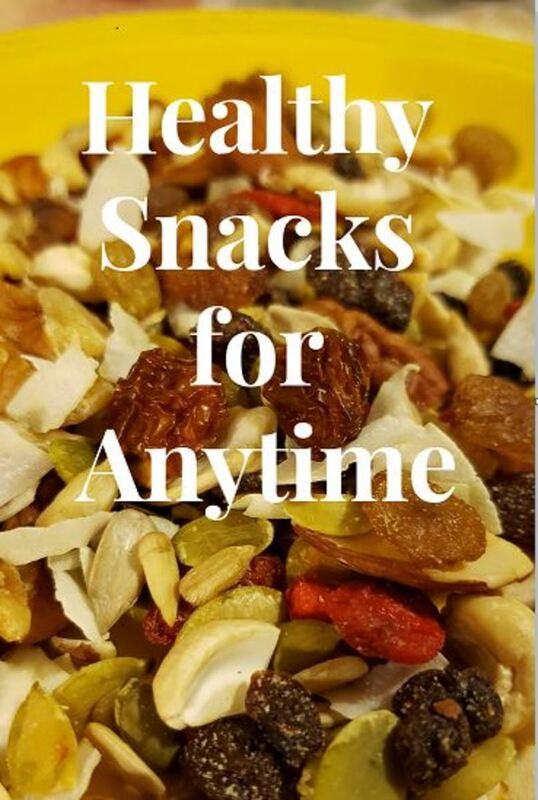 This recipe for granola snacks is so easy because it's ingredients are things you usually have on hand. 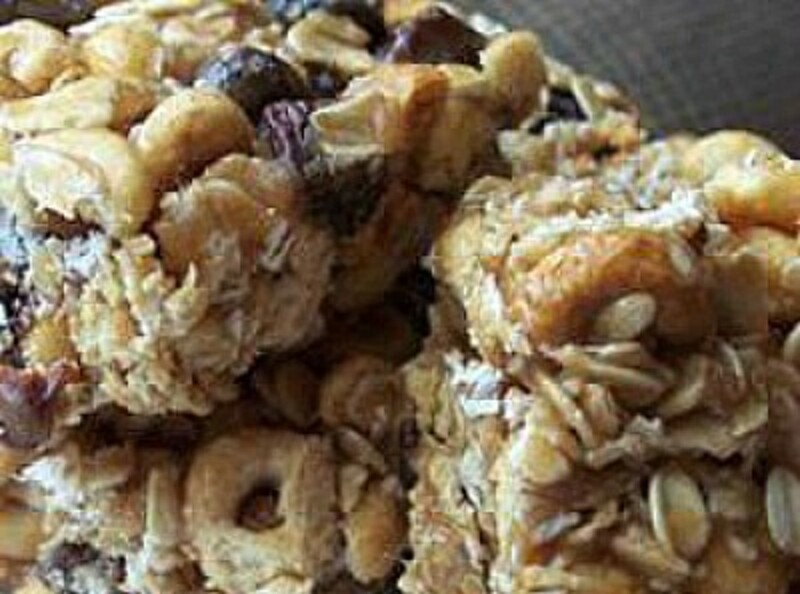 See how to make the Gobble Up Granola Snack by following the recipe at allrecipes.com and then notice how your kids gobble them up. Making pizza sammies is so easy and remember to freeze any leftovers. 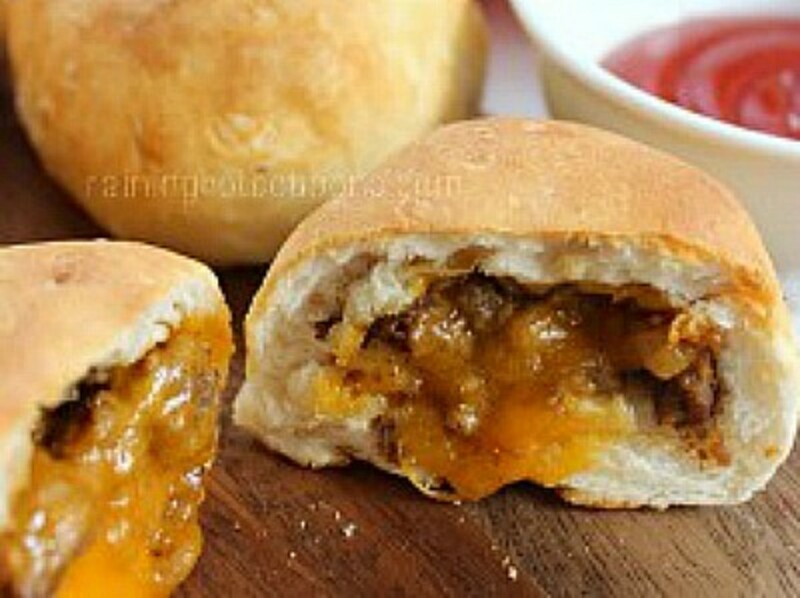 Mommy's Kitchen has a terrific tutorial and when you make these once, they'll be a family food staple. Chocolate covered peanut butter filled Ritz crackers may be known by many other names, but my family always called them Crunchy Monkey Pies. This is a snack that is not overly sweet, but the combination of chocolate and peanut butter definitely makes this a kid's favored snack. Find the step-by-step tutorial at Crunchy Monkey Pie. 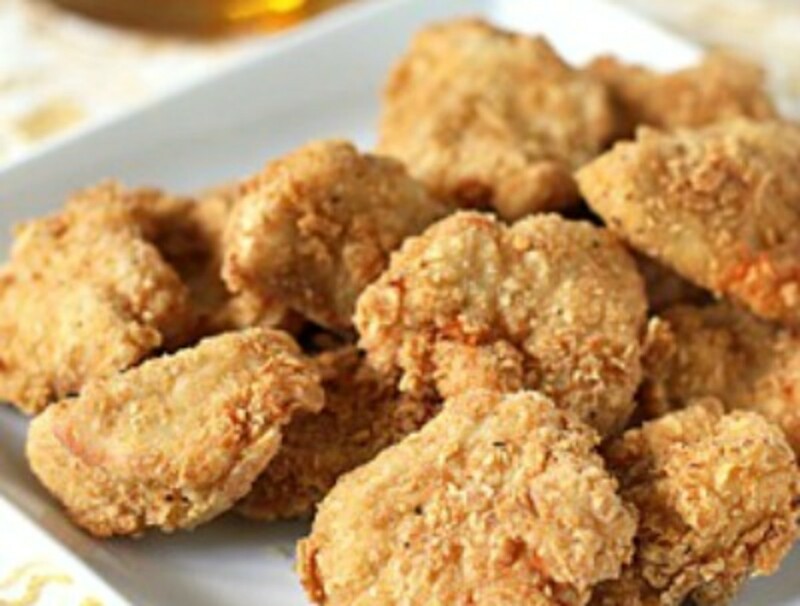 My grandkids love homemade chicken nuggets and you'll find a great recipe for making them at The Gallery Gourmet. This recipe deep fat fries the chicken nuggets, but I place the prepared panko covered nuggets on a baking sheet and bake them in a 425 degree preheated oven. Bake them 10 minutes, then turn them over and bake an additional 3 to 4 minutes or til done. 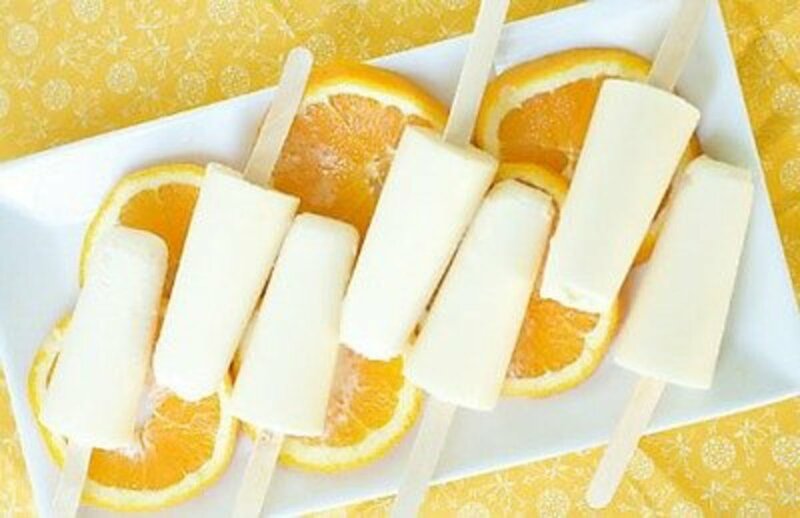 Orange Creamsicles are an especially good snack when the weather is warm, but the kids won't refuse them when the weather turns cold. You'll find the recipe for making these delightful popsicles at oven love. Super delightfully delicious!! The kids will love dipping fruit in this delicious dip...that is if there is any left by the time you get it made. No sugar is added to the dip, so it's very healthy snack. 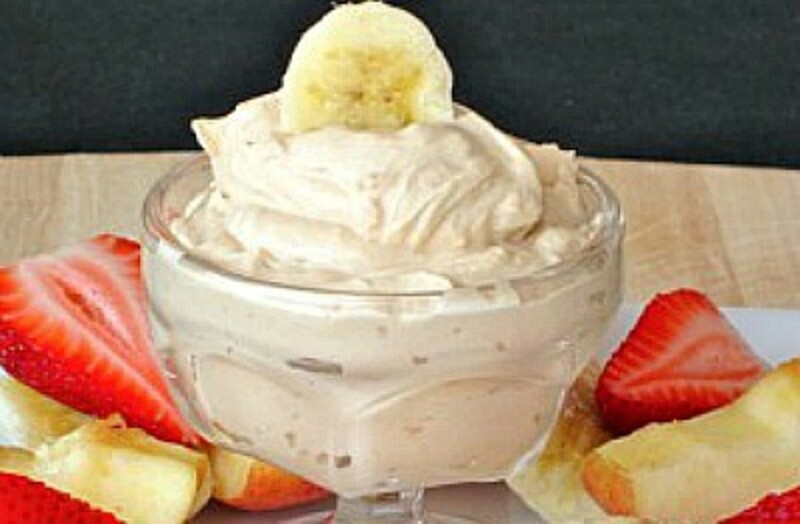 Find the recipe for this super easy yogurt dip at skinnyms. The kids are sure to come running when you tell them that you've made them "bombs" for a snack. Make this delicious snack, that even the grown ups will love, by following the tutorial at Spend With PENNIES. Mmmm. All those really great ingredients, Nilla wafer cookies, peanut butter and banana. These are so easy to put together, that you won't want to make them too far in advance. The cookie might get soggy, but chances are they won't last that long. 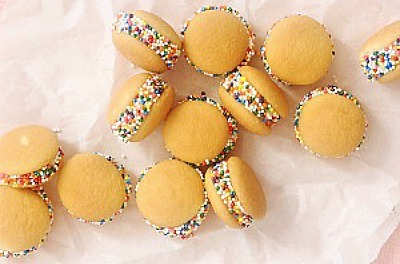 Check out the recipe for banilla cookies at BAKERS ROYALE. 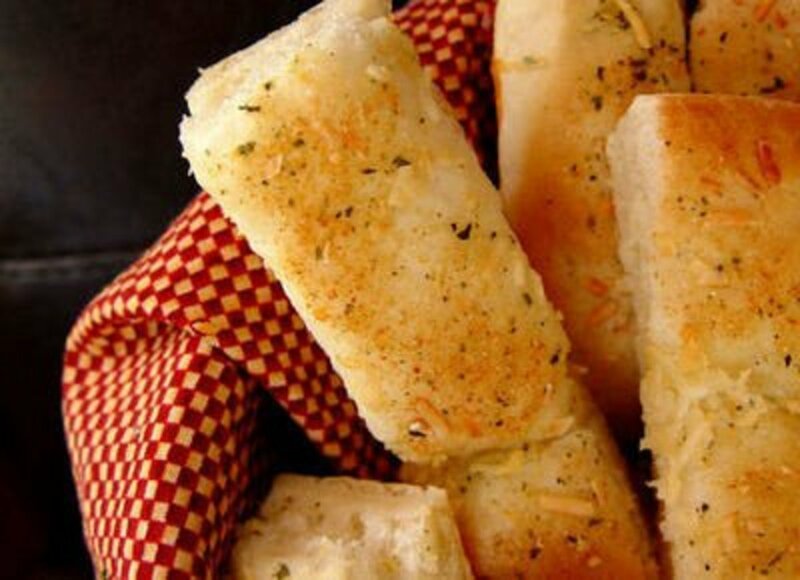 My grandkids love bread sticks and this easy to make recipe is perfect for a quick, easy and healthy snack. Find the recipe for making these bread sticks at Jamie Cooks It Up. Make them ahead and warm for a few seconds in the microwave. 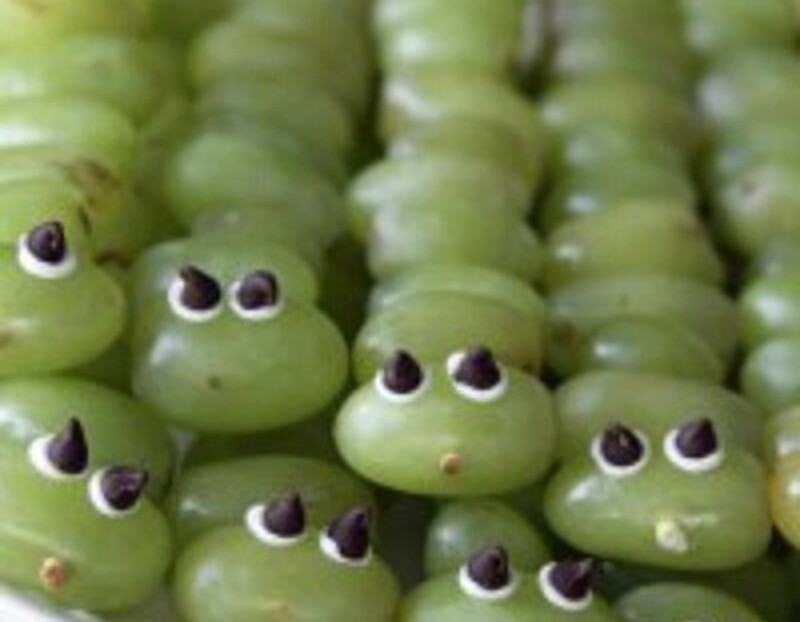 Which kid could resist grapes made to look like a caterpillar? The recipe for making these kabobs can be found at A Spotted Pony. Just reading the ingredients for making these pizza snack cups has my mouth watering. Kids love pizza and pizza is a healthy food choice. 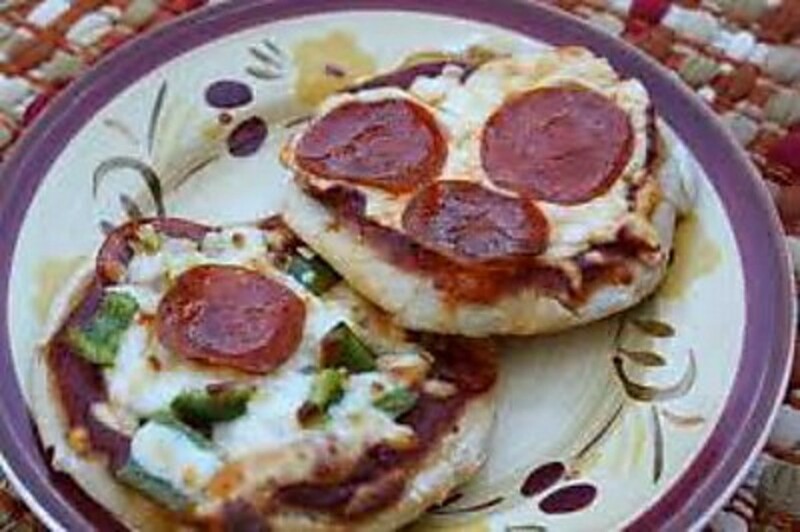 The recipe for making these pizza snack cups is found at Food.com. A snack recipe is really a winner when you know that you can serve the snack to every aged family member. 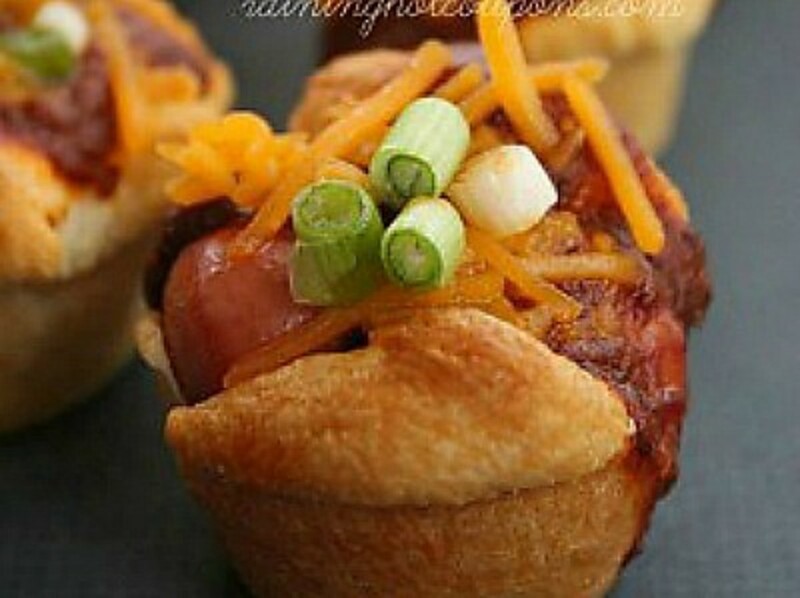 This great mini chili dog crescent snack, with the recipe found at Raining Hot coupons, will become a family favorite. 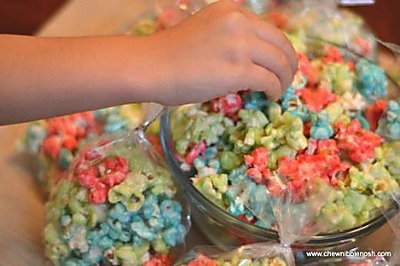 Just the name, Fruity Kool Aid Candied Popcorn, says it all. What a great, and fun, snack to make with, or for, the kids. You can find out exactly how to make this fruity popcorn by going to halfhourmeals for the recipe. 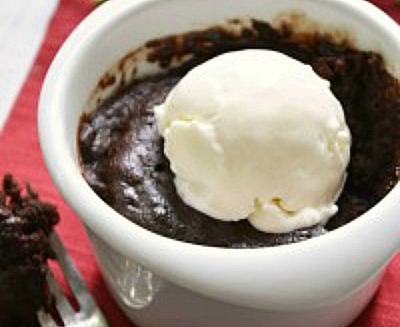 Sometimes a woman just needs a chocolate fix, so you might as well enjoy one of these mug brownies while you're preparing one for the kid. A nice pictured tutorial for preparing these brownies is found at babble. Stupendous! This will be one of the kids' favorites. And a favorite of mom too because it's so easy. Go to ebay for this recipe. 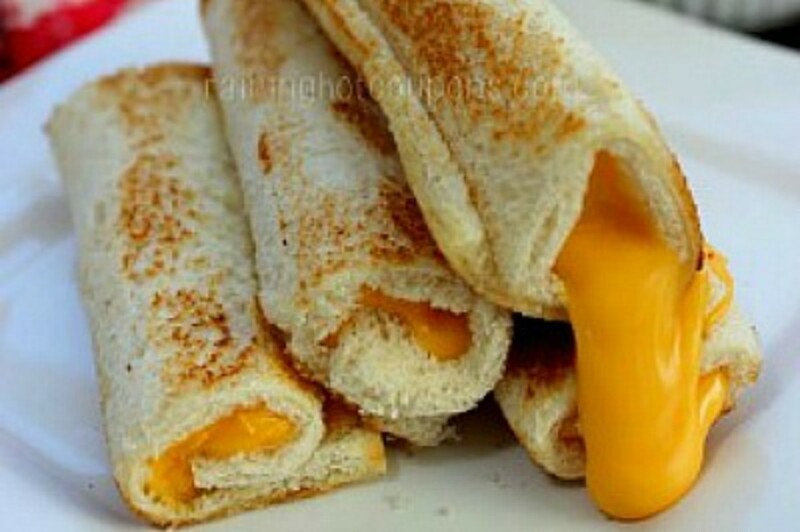 This is probably one of the easiest snacks that you'll be able to make and you know how the kids love cheese. 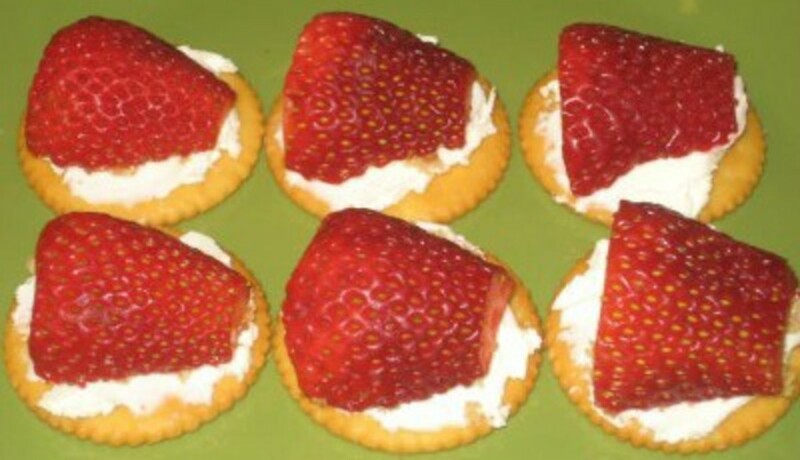 A great, quick and easy snack. See how they are made by going to Raining Hot coupons. Oh, how I would love to bite into one of these right now. So easy and so delicious. 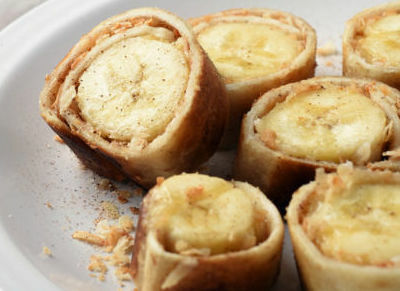 Find the recipe for making this terrific snack at Food.com. The kids will love these. If you are like me, you try serve your family foods that aren't deep fat fried. 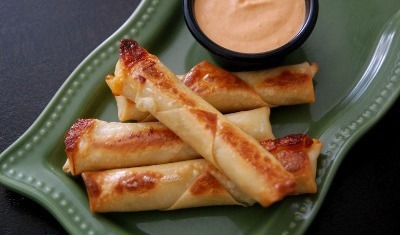 These baked mozzarella sticks are made using string cheese and egg roll wrappers. 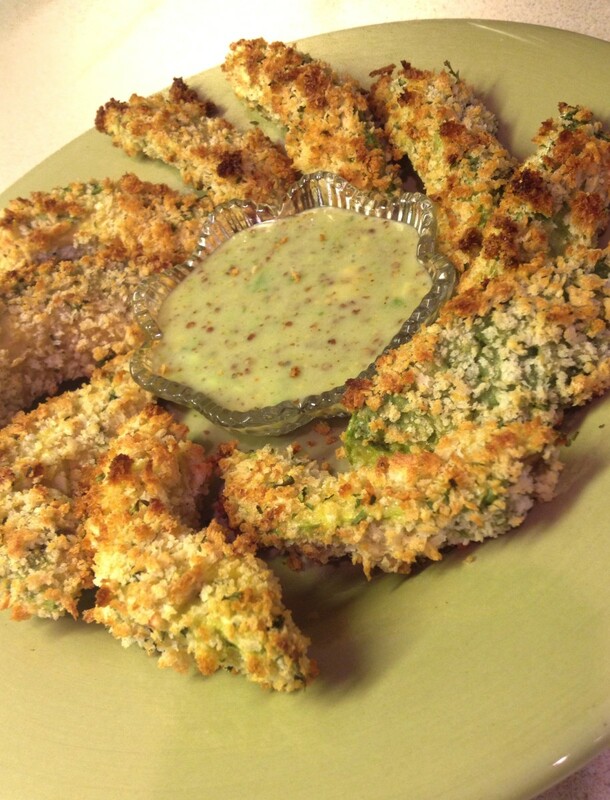 You'll find how to make this baked snack at EAT, DRINK & BE Tracy. These sandwiches aren't only for breakfast. Imagine the satisfaction of an egg, ham and cheese muffin sandwich. Mmmm! Make them ahead and freeze them for quick thawing. Find the how-to at Flying on JESS FUEL. 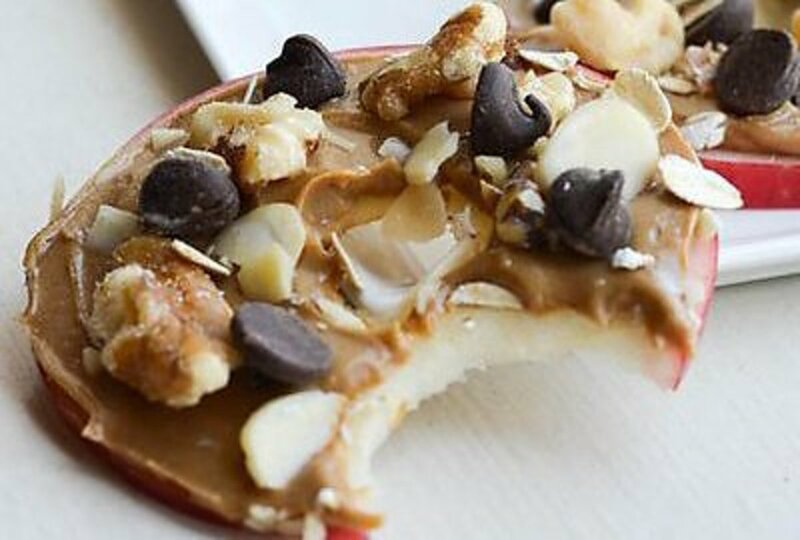 What could be easier to make, and a more nutritious, than peanut butter covered apple slices! And they look soooo good. 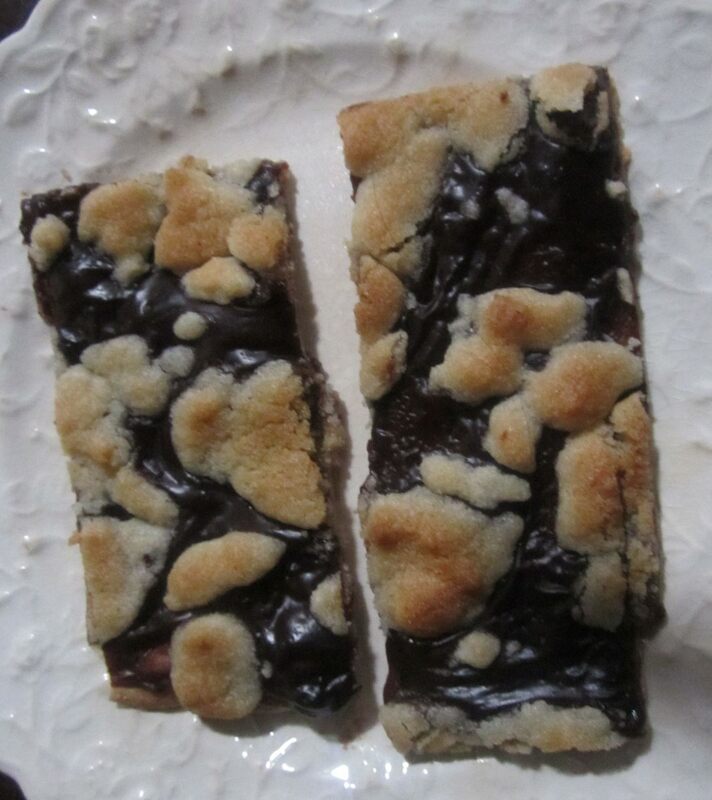 Find the pictured instructions for making them at PaleoEats&Treats. Do You Think Your Kids Would Like Any of These Snacks? - or leave a message. wonderful ideas here! my kids would like all of these! oh my! I must pin this to my recipes I want to try board ans come back to it and try some of these. In the meantime I'm going to share it with my middle daughter through facebook. bookmarking this, thanks for some great ideas! They all sound too good, I think my son will like them. These all look wonderful and delicious. I might save some for the kids. The peanut butter yogurt dip looks amazing. I think so, but I know I would! The pretzels at the beginning made me think it's time to eat! Great lens with great suggestions! Thanks for posting it. These look great, and I agree that I am eating them instead of the kids! I have long made "chicken patties" from scratch for my kids and bake them as you do. Here's the odd thing about that -- they have never found a deep fried breaded chicken tender/nugget they wouldn't eat, but my homemade ones are the ones they eat happily "straight" -- no ketchup or other dipping sauces! Thanks for reminding all of us how much we can show our love -- and keep things healthier -- by making it from scratch, or almost. We are definitely having homemade chicken/patties nuggets this week. I am sure my son's will if not I saw a couple that I would be happy to try.